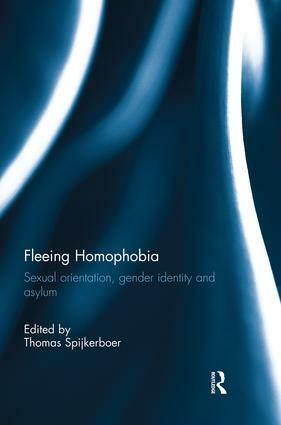 Each year, thousands of lesbian, gay, bisexual, transgender and intersex (LGBTI) asylum seekers apply for asylum in EU Member States.This book considers the position of LGBTI asylum seekers in European asylum law. Developing an encompassing approach to the topic, the book identifies and analyzes the main legal issues arising in relation to LGBTI people seeking asylum including: the underestimation of the relevance of criminalization of sexual orientation as well as the large scale violence against trans people in countries of origin by some European states; the requirement to seek State protection against violence even when they originate from countries where sexual orientation or gender identity is criminalized, or where the authorities are homophobic; the particular hurdles faced during credibility assessment on account of persisting stereotypes; and queer families and refugee law. The book gives a state of the art overview of law in Europe, both at the level of European legislation and at the level of Member State practice. While being largely focused on Europe, the book also takes into account asylum decisions from Australia, New Zealand, Canada, and the United States and is of relevance internationally, offering analysis of issues which are not specific to particular legal systems. Sexual orientation and refugee status determination over the past 20 years: unsteady progress through standard sequences? Overcoming problems with sexual minority refugee claims: is LGBT cultural competency training the solution?